Have you known a good change that enables a turning point of car rent industry? This is about it. We like use cars whenever we want, we can travel whenever we want, and DRIVERO is fulfil these needs. When you decide to use this car sharing platform based no Blockchain technology and GPS location, you can easy rent a car with a couple button presses. If you have a car, most time it is parked in front of you home or office, and is waiting for time when you need to move from point A to point B. That means you don’t need it whole day, so you can also rent put your own car. They will try to change the view on the car rent industry. Our vehicles will be taken care of to solve the dirty car issue and users will be able to rate the level or cleanliness on scale 1 to 10. They will promote using cryptocurrencies (ETH and BTC), when you pay for car with them you get a 10% discount for your trip. Credit and debit cards will be accepted as well, but without any discount. Cost of fuel, insurance and maintenance is included in rent price, all depends on rent time, you could rent a car just for 1 minute, but also, unlimited time. Company will provide different class vehicles with installed tracking devices and safety equipment. Transaction is secured by Blockchain smart contract. For anyone willing to invest in an Initial Coin Offering, please check the Drivero (Drivero) – ICO project’s whitepaper for more technical and real information before moving forward. What you expect from a real ICO is high-level descriptions and specifications, step by step, about how the project will go on and how the technology works. You will get charts, calculations, simulations, formulas and other specifications. Some Initial Coin Offering scams will not reach that level probably because they target unsuspecting investors who either do not have time to read whitepapers or do not know whether one even exists. There is a distinct lack of secure identity verification service(s) usage in ICO market. The instances of elaborate Initial Coin Offering scams in today’s digital market can’t help but argue whether it is still smart enough to engage in the field. The rise of exit scams, including the disappearance of founding teams with chunks of capital is alarming. It crushes the reliability of cryptocurrency and its sources. The question surfaces: if even apparent genuine crypto platforms can turn out to be a scam, how does one verify whether to trust a cryptocurrency startup? One thing is certain – digital verification, for (Initial Coin Offering) s investors, is continuous and not a one-time thing. DRIVERO will try to change the view on the car rent industry. Our vehicles will be taken care of to solve the dirty car issue and users will be able to rate the level or cleanliness on scale 1 to 10. DRIVERO will promote using cryptocurrencies (ETH and BTC), when you pay for car with them you get a 10% discount for your trip. Credit and debit cards will be accepted as well, but without any discount. Cost of fuel, insurance and maintenance is included in rent price, all depends on rent time, and you could rent a car just for 1 minute, but also, unlimited time. Company will provide different class vehicles with installed tracking devices and safety equipment. Transaction is secured by Blockchain smart contract. Easy rules apply to renting of your own car, car must be not older than 3 years (exception for sports cars), has 5 or more seats, must be fully repaired with valid technical inspection and insurance. 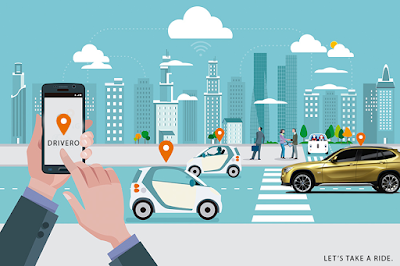 Car must be registered on your name and you accept the Terms and Conditions provided by DRIVERO, and it must be equipped with DRIVERO equipment. Every time you be able to localize your car, see how much money it earns for you. Company will keep 15% of the profit for mediation, car safety, the rest will be your profit. Renting would be easy to stop, just with single button tap if you decide to use your car and is not available for rent. Their final intention is to provide a car when you need it, where you need it. It’s a car for which you pay when you use it. When you wish to meet friends that you haven’t seen in a while or just to go from point a to point b. It’s a car that’s shared across all Drivero users.Your dream to drive a Porsche with the roof down, enjoying the good weather? Or maybe you like the sound of the BMW F10 M5’s engine? Our team will be honored to offer various class cars, starting with simple city cars, ending with the business or the sports classes is not dream anymore with Drivero.